In Italian, la dolce vita translates to "the sweet life," and that's what Costa Cruises guests will be living when they book a suite or grand suite accommodations. Beginning this month, Costa is expanding its perks and amenities program so guests traveling in a suite can enjoy more of "Italy's finest" cruise line, including complimentary meals at the alternative Club Restaurant, unlimited drinks and special access to private events and activities. "Suites aboard Costa's upscale contemporary ships are spacious and allow guests to travel in absolute luxury," said Scott Knutson, vice president sales and marketing, Costa Cruises North America. "With these added amenities, suite guests can enjoy a nearly all-inclusive experience with unlimited access to one of our most popular specialty restaurants with wine included, a free beverage package and a host of other perks throughout their cruise -- like reserved front-row seats in the theater and a day pass for the spa." The Club Restaurant serves dishes from different regions in Italy and also features vegetarian, vegan and gluten-free options. Suite guests also can choose to dine in the main restaurant, and those who want to dine in another specialty venue receive priority when making reservations. Suite guests also receive a complimentary Intenditore beverage package, the highest-level beverage package offered by Costa. Intenditore includes unlimited drinks, priced up to 9 euros on bar menus, drinks from the mini bar or served in the cabin, and refined pairings of wines selected for Costa by the Italian Sommelier Association with meals in restaurants or at the buffet. Throughout their cruise, suite guests can enjoy exclusive activities including wine tastings, a day pass to the thermal area of the spa, where available, private cocktail events and reserved front-row seats to every show in the ship's theater. 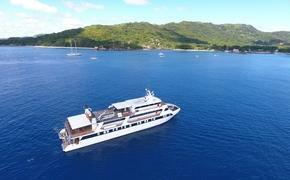 A dedicated specialist will be available to assist with shopping and selecting shore excursions. 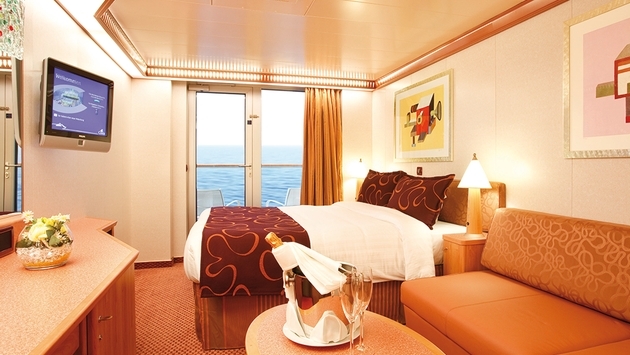 In their suite, guests can indulge in complimentary room service and full in-cabin meals. Suite accommodations include a welcome bottle of Ferrari sparkling wine with canapés, an Illy Caffé coffee maker, fresh fruits replenished daily, bathrobes and slippers, a pillow menu and organic cotton sheets. A private butler will offer shoe-shine service and is available to book onboard services and tours as well as unpack luggage. For guests sailing from Barcelona, Spain, or Savona, Italy, the special treatment begins as soon as they arrive at the cruise terminal. Suite guests will have access to a private VIP area where they can relax and enjoy Ferrari sparkling wine, Illy Caffé and a selection of snacks.